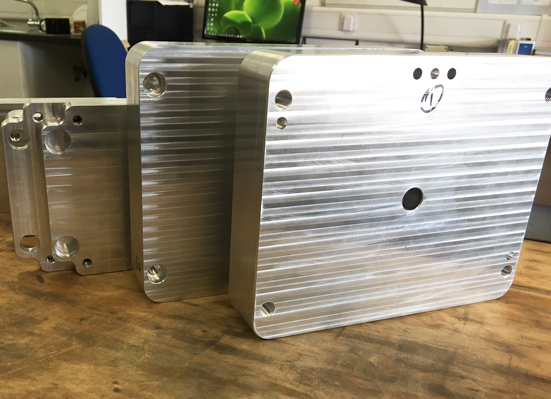 At Plunkett Associates we have taken a special interest in how to reduce the upfront costs associated with prototype tooling and have looked at how to make the process more economically viable for lower quantities. In many instances we are able to offer injection moulded components that are competitive with the silicone tooling/vacuum cast alternative, especially where multiple tools would have been required. Leadtimes can improve as well, due to the significantly faster production rate offered by injection moulding when compared to vacuum casting. We appreciate there are many reasons to source an injection moulded part other than purely as a production item, and the key to our success has been in offering a range of solutions. When evaluating new designs there are some instances when the production intent material is a ‘must have’. This can be because the standard prototyping options are just not strong enough or perhaps cannot achieve the temperature or other environmental requirements. The opposite can also be true, it may be that material properties are unimportant but the quantities are sufficiently high as to make injection moulding the most economic or rapid solution. Either way, injection moulding has much to offer if we tailor the type of tooling to the application. Prototype tooling will, where possible, utilise aluminium as the tooling material rather than steel. This is because aluminium can be machined faster than steel and with the large range of tooling grades available, can be matched to the required tool life. The better thermal conductivity can also be attractive, minimizing the cooling circuits necessary. Items such as the mould frame (MUD) or bolster can be standardised, such that it is only the inserts that are manufactured for each part, again reducing cost and manufacturing time. Side actions may be abandoned in favour of loose inserts that are hand loaded into the cavity for each cycle. Whilst increasing the cycle time, this can still prove beneficial if quantities are low. In some instances it may even prove viable to post machine features or threads, rather than incorporate them in the tooling. The result equates to moulded parts in between 5 and 15 days. Part quantities can vary substantially based on project requirements, from less than 10 through over a thousand. Depending on the application and time available, some tools will be trialed to gain client approval, in other instances the parts are inspected on press and the batch run immediately. There is a wide range of materials available with most ‘standard’ plastics carried in stock and the use of masterbatch permitting a variety of colours to be moulded. Ultimately each job is different and Plunkett Associates will ensure the process is tailored to suite geometry, quantity, timescale, budget and of course the client. Adept Precision is our dedicated tooling and moulding sister company in the UK. 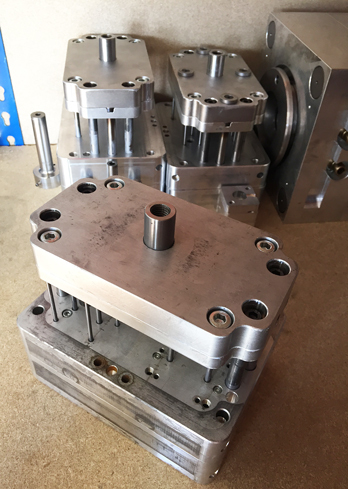 If you need tooling fast, or would like more information about tooling for injection moulding, please contact us or upload an enquiry here. We will be happy to help.